So, what was there at the beginning and which architectural elements have been added? How have these additions made the platform more powerful? How does cognitive computing come into play? IBM i stands on the shoulders of giants. Its AS/400 heritage and strategic innovation point to a bright future for this strategic server that continues to support organizations in every industry around the world. Don't miss a moment as the saga unfolds! 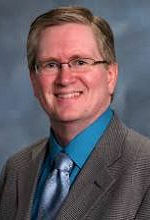 Steve Will is Chief Architect for the IBM i operating system. He's an award-winning speaker, author of a top IBM i blog, and one of the most sought-after voices at customer briefings and events. Steve has worked on IBM i and its predecessors since before the creation of the AS/400. 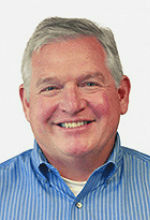 Tom Huntington is Executive Vice President of Technical Solutions at HelpSystems, and a 28-year veteran of the company. He works with business alliances, acquisitions and large customer relationships and ensures that the HelpSystems software works with other major software and hardware vendors worldwide. Tom often speaks on enterprise scheduling, security, automation topics, IBM i technology, and the HelpSystems products, and hosts technical presentations on a variety of automation topics. He is the author of the HelpSystems IBM i Marketplace Survey and has written articles on automated operations, security, cloud computing, and business intelligence for leading trade journals and newsletters. He was named an IBM Champion in 2016 and 2017 for over three decades of advocation and thought leadership on the IBM i platform.